ที่ใช้ 57 B.C- A.D 688 เล่าเองก็สงสัยเอง เพราะ 57 B.C ถือ เป็น ปี ที่เริ่มต้น การสถาปนา กษัตริย์ องค์ ที่ 1 ของอาณาจักรชิลลา ซึ่ง เป็น ชนเผ่า เก่าแก่ หลายเผ่ามาก่อนตั้งแต่ อาณาจักร โคโซซอนล่มสลายเพราะ ฮั่น และอาณาจักรชิลลา น่า จะ สืบต่อมาถึง 912 ( และ 935 นับต่อ มีกษัตริย์ อีก 4 พระองค์ ถึง ปี ค.ศ 935 ) แต่ ปี 57 B. C. ก็ ยังไม่เกิด อาณาจักร โคคุเรียว โคคุเรียว นับเริ่มต้น ที่ 37 BC ส่วน อาณาจักรแพคเจ ก็ เริ่มต้นที่ 18 BC. .
Producer : Kim Jong-hak (PD) , Song Ji Na ( Scriptwriter) , The Sandglass, Dae Mang ( A Great Ambition ) ,24 episodes. มีข่าวจาก sport today ว่า คิม เทฮี IS she a lover of yonsama.? ในบทบาทของ Joojaak KImtaehee’s BYJ lady,the likest for the role of Joojaak in GKFG story. Joojaak,the name mean red Chiness phoenix. Established in 37 AD, in what is, now northern Korea and southern Manchuria, the Koguryo period is regarded by Koreans as a golden age. The ancient Koguryo kingdom was existed more than 1300 years ago and was defeated by its neighbours in 668AD. It’s founding monarch, Chumong, was an archer and horseman with the apparent gift of walking on water. It’s greatest king, Kwang-gaeto established the present North Korean capital, Pyongyang. It produced distinguished scholars and Buddhist divines and its royal tombs, painted with exquisite murals, have been recognized as world heritage sites. The modern name of Korea ultimately derives from Koguryo. Despite the fact that northern part of the old kingdom is now China, it was universally acknowledged as a Korean civilization. Translated by JoanneKwon Ohkyeong posted this on the Talk Box of BYJ's official home. เอเจนซี่ของซงอิลกุก ได้ปฎิเสธ ข่าวนี้Song Ilkook's agent who is staying in China at present told on a telephone conversation with Joy News on 1, announced like this and made strong statement, "Although we had meeting for about 2 times, it was only something like receiving script," and "we have not decided on it yet." On the other hand, an official at the Cheongam Entertainments, in charge of casting for this drama, also told, "Song Ilkook is just one among numerous actors who are listed in the candidacy," and "Nothing has been decided yet." He explained, "we had met to confirm Song Ilkook's coming schedule," and "however, there is nothing decided yet and we cannot say anything until the total outline of the casting would appear in 2 weeks." Kim Jonghak PD, "Why does he produce 'Great King Four Gods Story'? The Seokiha character,which Moon Sori is to act, is a woman who is fated to become strong due to love that was unattainable. That woman, a descendent of Tiger Women Tribe, who remained as tiger, being different from the bear which became a woman going through period of patience & suffering in Tangun Mythology, was born with fate in which he cannot help but to give in the position of King's woman to Bear Women Tribe. 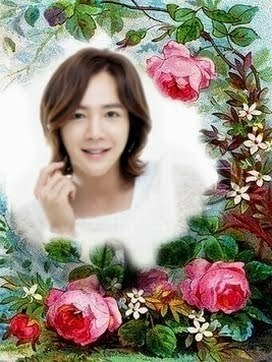 She is a woman with tragic love, who could not win love from Great King Kwang-gae-to (BYJ) and became a figure who confront him in the end. Tigger mom posted this on the Talk Box of BYJ's official home. พูดถึงการเตรียมตัวของ เบ ยองจุน ที่กำลังฝึก การขี่ม้า การใช้อาวุธบนหลังม้า การต่อสู้ต่างๆ และกล่าวถึงดาราที่จะเข้าร่วม. Chung Jinyoung, Moon Sori, & Choi Minsoo, . From BYJ's Quilt - Translated by JoanneKwon Ohkyeong posted this on the Talk Box of BYJ's official home. and it is scheduled to be aired in various nations in the world including Korea after coming December. Much talked about drama which will write history of Korean dramas anew'Tae Wang Sa Shin Gi' begins first shooting along with well-wishing ceremony(Gosa)!! The 'Tae Wang Sa Shin Gi' , the best talked about drama which will write history of Korean dramas anew, entered full-scale shooting after holding Gosa ceremony praying for safe shooting and wishing for the success of the production in Jeju on March 16(Thrusday). At the site of Gosa in this time, all the staff including Director Kim Jonghak & writer Song Jina, and all the major actors including leading actor BYJ, Choi Minsoo, Park Sangwon, Park Sangmyeon, Yoon Taeyoung, Lee Dahee, attended and glorify the occasion while praying and wishing for the success of the drama. 'Tae Wang Sa Shin Gi'. 'Sand Glass' team united again[Star News]3/16/06 15:50 In the 'Tae Wang Sa Shin Gi' depicting biography of Great King Kwang gae-to(Production-Kim Jonghak Production & Cheongam Entertainment), team of the 'Sand Glass', which recorded amazing viewing rate at 64.2 % in 1995, became united again.Following Kim Jonghak PD, who directed the 'Sand Glass' directs in a long time, first, writer Song Gina, having written the script, joined hands with Kim PD again. Also, Choi Minsoo and Park Sangwon, who played Taesoo and Wooseok, 2 male lead actors in the 'Sand Glass' support. Choi Minsoo takes a character of an elder of Daehwajeonwhoi, a God in the middle continent(Manchuria?) who would help the Great King Kwang-gae to, and Park Sangwon takes a character of Yeon Garyeo, father to Yeon Hogae(Actec by Yoon Taeyoung), who is a rival suiter in love as well as rival to the Great King Kwang-gae to. BYJ who attended the Gosa and first shooting of the drama 'Tae Wang Sa Shin Gi' on 16 had his hair grow and his face looks better that before. Regarding this, staff at his management agency told, 'Since the film 'Oe Chool' while preparing the 'Tae Wang Sa Shin Gi' , BYJ has gained weight by about 4~5 Kg,' and 'While shooting a new drama, he will build his body again. Buyeo (c.239-494 CE) ruled in modern-day Manchuria. The rulers continued to use the titles of Dangun. Some records refer to Bukbuyeo (North Buyeo) and Dongbuyeo (East Buyeo). It was absorbed into Goguryeo. (c.86 BCE–22 CE) The rulers of Dongbuyeo submitted to Bukbuyeo in 86 BC, and thus used the title Wang ("King"). Micheon continuously developed the Goguryeo army into a very powerful force. During the disintegration of China's Jin Dynasty, he expanded Goguryeo's borders into the Liaodong Peninsula and Chinese commanderies. His first military campaign was in 302, against the Xuantu Commandery. He annexed the Lelang commandery in 313 and Daifang commandery in 314 after attacked Seoanpyeong in Liaodong. In his reign, Goguryeo was faced with growing Xianbei influence in the west, particularly Murong Bu incursions into Liaodong. Micheon allied with other Xianbei tribes against the Murongbu, but their attack was unsuccessful. In 319, the Goguryeo general Yeo Noja was taken captive by the Murongbu. Throughout this period, Goguryeo and the Murongbu attacked each other's positions in Liaodong, but neither was able to gain a lasting victory. Micheon died and was buried in 331 at Micheon-won. Twelve years later in the reign of King Gogugwon, his remains were dug up by the Former Yan invaders, and held for ransom. He ruled at a time when the kingdom was quite weak, and had an ill-fated reign. He sent tribute to the Xianbei state of Former Yan after they invaded the capital in 342 and held the queen and royal concubines captive, in order to secure the return the corpse of King Micheon. ในปี ค.ศ. 369 ตรง กับสมัยกษัตริย์ แพคเจ ที่ 13 Geunchogo เป็นกษัตริย์ ที่เข้มแข็ง ได้ ผนวก ดินแดน ของเผ่า Mahan ( ชนเผ่า Mahan นี้มีความสำคัญ เกี่ยวกับอาณาจักร ชิลลา) รวมทั้ง กายา ก็เป็นเมืองขึ้น ของแพคเจ และยังได้ส่งทหารมาโจมตี โคคุเรียว ใน ปี ค.ศ.371 แพคเจ นำทหาร 3 หมื่นนาย นำโดย รัชทายาท GeunchogoZ (ต่อมา เป็นกษัตริย์ องค์ที่ 14 ของ แพคเจ) เป็นผู้สังหาร กษัตริย์ Gogugwon พระอัยกา (ปู่) ของ ทัมด๊ก ค่ะ ที่ ปราสาท เปียงยาง (และนี่คือ สาเหตุ ที่ในละครตำนาน จอมกษัตริย์เทพสวรรค์ ยอนโฮแก ใช้เป็นเหตุผล อ้างกับ ทัมด๊ก ที่รักษาการกษัตริย์ โคคุเรียว ในขณะนั้น ยกทหารอสาสาสมัคร ของตระกูล ยอน 4 หมื่นนาย ไปโจมตี แพคเจ )( และกษัตริย์ องค์ ที่ 14 ของแพคเจนี้ มีราชินี Lady Ai เป็น ธิดา ของ Jin Godo เสนาบดีใหญ่ ของราชวงศ์ JIN ( Eastern Jin Dynasty – ก็น่าจะหมายถึงราชวงศ์จิ้น ของจีน ซึ่ง มีทั้ง ราชวงศ์จิ้นตะวันออก ที่อพยพ โยกย้ายราชธานี ของราชสำนักจิ้น ตะวันตก ที่ล่มสลายลง ราชวงศ์จิ้น อยู่ในระหว่าง ปี ค.ศ.317-420 ราชวงศ์จิ้นนี้ เกิด ปลายยุค สามก๊กของจีน ในราชวงศ์ ฮั่น สับสน ดีจริงๆ ) นอกจากนี้ แพคเจ สมัยกษัตริย์ ที่ 13-14 ของแพคเจ นี้ ยังเป็น พันธมิตร ที่ดี ของ Wa kingdom of Yamato period Japan ด้วย. Also in 372, he also established the Confucian institutions of Taehak (태학, 太學) to educate the children of the nobility. In 373, he promulgated a code of laws called (율령, 律令), centrally codifying regional customs and acting as the national constitution. In the second year of his reign, Gogukyang sent 40,000 troops to attack the Chinese state of Yan in the Liaodong Peninsula. The Goguryeo army captured Liaodong and Xuantu, and took 10,000 prisoners. In that winter, Yan counterattacked and recovered both provinces. In 386, the prince Go Dam-deok, the later King Gwanggaeto the Great, was designated heir to the throne. Goguryeo attacked the southern Korean kingdom of Baekje in 386, which returned the attacks in 389 and 390. In the spring of 391, Goguryeo signed a treaty of friendship with King Naemul of Silla, another of the Three Kingdoms, and received Naemul's nephew Kim Sil-seong as a hostage. Gwanggaeto the Great , means "Very Greatest King, Broad Expander of Territory, [bringer of] Peace and Security, [buried in] Gukgangsang. 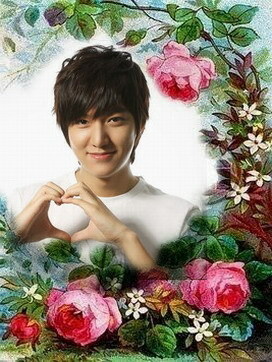 ", sometimes abbreviated to Hotaewang or Taewang. He selected Yeongnak as his era name, and was called King Yeongnak the Great during his reign. in the 2nd century CE. Upon King Gwanggaeto's death at thirty-nine years of age in 413, Goguryeo controlled all territory between the Amur and Han Rivers (two thirds of modern Korea, Manchuria, and parts of the Russian Maritime province and Inner Mongolia). In addition, in 399, Silla submitted to Goguryeo for protection from raids from Baekjae. Gwanggaeto captured the Baekje capital in present-day Seoul and made Baekje its vassal. Many consider this loose unification under Goguryeo to have been the first and only true unification of the Three Kingdoms. Goguryeo was one of the Three Kingdoms of Korea in the first millennium AD (along with Baekje and Silla), and fell to Silla in 668. Goguryeo was ruled by the Go clan. Most Goguryeo rulers used the title Wang, or "King," but one exception to this was Gwanggaeto, who used the title Daewang, meaning "great king" or "emperor." กษัตริย์ Yuri ถูกกล่าวขวัญว่า Yuri is described as a powerful and military successful King. He conquered Xiongnu tribe in 9 BCE. Go-Joseon, or Old Korea (2333 - 206 BC), was the first Korean kingdom. According to legend, it was founded by Dangun in southern Manchuria in the basins of the Liao and Taedong Rivers. Judging from Chinese records, the state of Go-Joseon as a political entity could be described as a kingdom (Chinese: 國; pinyin: guó) at least by the beginning of the 4th century BC. This roughly coincides with the advent of the Iron Age in Korea. Go-Joseon went into a period of decline, but it was revived in the 2nd century BC as Wiman Joseon. Some Korean records combine Wiman Joseon, Gija Joseon, and the initial Go-Joseon as periods of one Go-Joseon. Gija Joseon (around 300 BC - 194 BC or 1126 BC - 194 BC) was an ancient kingdom that succeeded Go-Joseon. Gija was the paternal uncle of the last emperor of the Chinese Shang Dynasty, the tyrannical King Zhou. Gija was imprisoned by the tyrant until the downfall of Shang Kingdom, when King Wu of Zhou released him. Not wanting to be the subject of the Zhou Kingdom, Gija led 5,000 to present-day Korea and became the king of Joseon. Whether Gija Joseon actually existed or not is a matter of great controversy; for some historians deny or ignore Gija because of nationalistic ideology. According to Samguk Yusa, Go-Joseon was established in 2333 BC. But Samguk Yusa doesn't provide much detail; and according to Gyuwon Sahwa, a historical record of Danguns and their periods of reign, Go-Joseon was ruled by 43 Danguns for 1195 years. The "lost period" between fall of Go-Joseon and Wiman Joseon makes it possible that Gija Joseon existed. House Seonwu of Taewon of Korea has Book of Roots of House Seonwu of Taewon(태원선우씨세보, 太原鮮于氏世譜) which lists names of 41 rulers of Gija Joseon and their periods of reign. Gija Joseon was succeeded by Wiman Joseon. Wiman Joseon (194 BC - 108 BC) was the continuation of Go-Joseon, founded by Wiman. 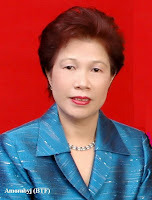 Wiman was originally a refugee from the Chinese state of Yan. He succeeded in driving out King Jun of Go-Joseon and taking over the throne. He made the capital in Wanggeomseong (王險城), today's P'yŏngyang. Although cultually Sinicized, Wiman Joseon was not a colony of China. Wiman Joseon expanded to control a vast territory and became strong economically by controlling trade between China's Han Dynasty and the outlying regions to the northeast. Feeling increasingly threatened by the growing Wiman Joseon, and fearing she would ally with the Xiongnu, Emperor Wu of Han China launched an attack on Wiman Joseon in 109 BC. After a year of battle, Wanggeomseong was captured and Wiman Joseon was destroyed. Han China established four commanderies in the captured areas, of which Lelang or Nangnang was the most important. Fuyu (Buyeo) was an ancient ethnic group and its kingdom in northern Manchuria. Their manners and customs were mostly recorded in Sanguo Zhi (Chronicles of the Three Kingdoms). The Fuyu were agricultural people who occupied the vastest plain in Manchuria. They already maintained a complex social structure. They named official titled after animals. Their capital was once considered to be Nong'an, Jilin Province but it would be near Harbin. The origin of Fuyu is unknown but it seems to have already been known to China during the Warring States Period. Fuyu began to make frequent contacts with China via the Xuantu commandery during the Eastern Han Dynasty. Although it raided Chinese borderland in 111, Fuyu paid tribute to Eastern Han in 120 and in the next year dispatched Prince Weichoutai (尉仇台) to Xuantu to save it from Goguryeo's attack. At the end of Eastern Han, Gongsun Du, a Chinese warlord in Liaodong, supported Fuyu to counter Xianbei in the north and Goguryeo in the east. After destroying the Gongsun family, the Kingdom of Wei sent Wuqiu Jian to attack Goguryeo. A squad of the third expeditionary force led by the Governor of the Xuantu commandery was welcomed by Fuyu. It brought detailed information of Fuyu to China. Since then Fuyu had been torn between big powers until its final overthrow. In 285 the Murong tribe of the Xianbei, led by Murong Hui, invaded Fuyu, pushing King Yilü (依慮) to suicide. Considering its friendly relationship with Jin Dynasty, Emperor Wu revived Fuyu and installed King Yiluo (依羅). Goguryeo's attack sometime before 347 caused further decline. Lost its stronghold near Harbin, Fuyu moved southwestward to Nong'an. Around 347, Fuyu was conquered by Murong Huang of the Former Yan. King Xuan (玄) and his people were captured. At the first downfall in 285, some people fled eastward to the land of Woju (沃沮) around modern-day Yanbian. It seems they who was called Eastern Fuyu by Goguryeo. They were invaded by King Gwanggaeto and may have been conquered by King Jangsu. A part of Fuyu seems to have lingered around Harbin under the influence of Goguryeo. In fact Fuyu paid tribute to Northern Wei in 457. They were conquered by the rising Wuji (Mohe) in 494 and the royal family defected to Goguryeo. Goguryeo and Baekje claimed that they were descendants of Fuyu. According to their legends, King Dongmyeong, the founder of Goguryeo, was a prince of Fuyu. Korean medieval history books say that Goguryeo was originally made of many chiefdoms, including Jolbon Buyeo(졸본부여, 卒本扶餘), the tribe of King Dongmyeongseong. Baekje officially changed its name to Nambuyeo (남부여, 南夫餘 "South Buyeo") in 538. It is well known the founder of Baekje, according to Samguk Sagi, King Onjo, the founder of Baekje, was a son of King Dongmyeong. Those titles suggest both Goguryeo and Baekje, two of the three kingdoms of ancient Korea, considered themselves as a branch or successor of Fuyu. So Korean historians consider Fuyu(Buyeo) as one of the ancestors of Koreans. วันหนี่งกษัตริย์ ฮวัน-อิน เห็นว่าถ้าตั้งเมืองที่ ถูเขา แพ็กดูซัน จะเกิดประโยชน์ แก่มวลมนุษย์ จึงทรงประทาน ตราประทับ และผ้ากำยาน ซึ่ง แสดงถึงอำนาจของพระเจ้าให้แก่พระโอรสและอนุญาตให้ลงมาบนโลกนี้ ฮวัน-อุง พาเหล่าเสนาลงมา 3 พัน ( ไม่แน่ใจว่าจะใช้ ว่าคน หรือองค์ แต่ถ้ามาจากสวรรค์ ควรใช้คำว่าองค์ ) และตั้งเมืองที่ถูเขาแพ็กดูซัน ชื่อเมือง “ชินโด” แปลว่า “ เมืองแห่งพระเจ้า” และตั้งชื่อพระองค์เองว่า “ กษัตริย์ในสวรรค์ ฮวัน-อุง "
But the river god disapproved of Hae mosu, who returned to heaven. The river god chased Yuhwa away to Ubalsu, where she met and became the concubine of King Geumwa of Dongbuyeo. เมื่อ จูมง เป็นกษัตริย์ After the death of his father in-law ( คือ พ่อของ So- Seo-No ) in 37 BC. And the first King of Goguryeo. Gojoseon (c.2333 - 108 BCE) was the first Korean kingdom. It is said to have been founded by Dangun in 2333 BCE, although the foundation years are various among the historians.. Bronze age archaeological evidence of Gojoseon culture is found in northern Korea and southern Manchuria. By the 4th century BCE, various historical and archaeological evidence shows Gojoseon was a flourishing state and a self-declared kingdom. The Annals of the kings are recorded in Gyuwon Sahwa (1675), which is described by its author as a collection of nationalistic legends. 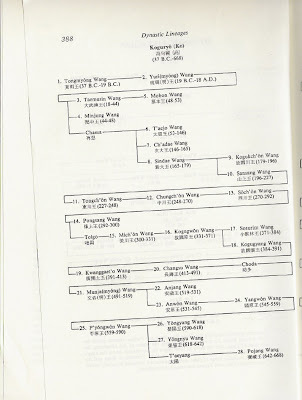 The Hwandan Gogi (1979), a controversial text whose authenticity is widely questioned, lists different years of reign. This is the story of the creation of the Korean people. Dangun's (단군; 檀君 ancestry begins with his grandfather Hwanin (환인; 桓因;), the "Lord of Heaven" (a name which also appears in Indian Buddhist texts). Hwanin had a son Hwanung who yearned to live on the earth among the valleys and the mountains. Hwanin chose Mount Taebaek (태백산; 太伯山) for his son to settle down in and sent him with 3,000 helpers to rule the earth and provide humans with great happiness. Hwanung descended to Mount Taebaek and founded a city, which he named Sinsi (신시; 神市), or "City of God." Along with his ministers of clouds, rain, and wind, he instituted laws and moral codes and taught the humans various arts, medicine, and agriculture. A tiger and a bear living in a cave together prayed to Hwanung to become human. Upon hearing their prayers, Hwanung called them to him and gave them 20 cloves of garlic and a bundle of mugwort. He then ordered them to only eat this sacred food and remain out of the sunlight for 100 days. The tiger shortly gave up and left the cave. However, the bear remained and after 21 days was transformed into a woman. The bear-woman (Ungnyeo; 웅녀; 熊女) was very grateful and made offerings to Hwanung. She lacked a husband, however, and soon became sad and prayed beneath a sandalwood tree to be blessed with a child. Hwanung, moved by her prayers, took her for his wife and soon she gave birth to a son, who was named Dangun Wanggeom (단군 왕검; 檀君王儉). Dangun ascended to the throne in the 50th year of the reign of the Emperor Yao (a legendary Chinese sage Yao), the year of Gengyin, built the walled city of P'yŏngyang, and called the kingdom Joseon. He then moved his capital to Asadal on Mount Baegak (or Mount Gunghol). 1,500 years later, in the year Kimyo, King Wu of the Zhou Dynasty enfeoffed Jizi to Joseon, and Dangun moved his capital to Jangdangyeong. Finally, he returned to Asadal and became a mountain god at the age of 1,908. Archaeological evidence shows that people were living in Korea during the Palaeolithic period. The physical culture found in these relics is largely identical with that in finds in Manchuria and Mongolia. According to a classic legend, Korea's first large social civilization, Go-Joseon (고조선; 古朝鮮), was founded by the man-god Dangun (Tangun) in 2333 BC. Go-Joseon is considered the first Korean kingdom. The name originally used was Joseon, but later historians started calling it Go-Joseon, or "old Joseon", to distinguish it from the later Wiman Joseon and Gija Joseon (see below). The legend claims that the kingdom was founded by Dangun in southern Manchuria in the basins of the Liao and Daedong Rivers. According to other ancient transcripts, a kingdom called Gija Joseon was established in 1122 BC, when a Chinese exile Jizi (Gija) led 5,000 followers to the mountainous peninsula and founded the kingdom by merging with existent populations. Historians are still debating the exact order of events. Go-Joseon was later revived as Wiman Joseon, which lasted until 108 BC. It has become common to refer to Wiman Joseon, Gija Joseon and the initial Go-Joseon as parts of a longer Go-Joseon period, this time to distinguish them from the later Joseon Dynasty. After the fall of Go-Joseon, many different minor chiefdoms arose in Manchuria and the Korean peninsula. Okjeo and Dongye were located on the eastern coast of modern-day North Korea, and Buyeo was in Manchuria. Okjeo, Dongye, and Buyeo were later conquered by Goguryeo. In the southern part of the peninsula, three different confederate of chiefdoms existed: Mahan, Jinhan, and Byeonhan. According to Later Book of Han, Mahan contained 54 states, Jinhan and Byeonhan contained 14 each. Among those chiefdoms, Baekje arose in Mahan and Silla in Jinhan. Mahan and Jinhan were gradually conquered/absorbed by Baekje and Silla. Byeonhan became Gaya. After Emperor Han Wudi of China's victory over Wiman Joseon (108 BC), the Chinese established four commanderies: Lelang (樂浪)(Korean: Nangnang), Xuantu (玄菟) (Korean: Hyeonto), Zhenfan(真番) (Korean: Jinbeon), and Lintun (臨屯) (Korean: Imdun). Some sources such as  (http://www.chinaknowledge.de/History/Han/han-event.html) indicate that a fifth commandery named Bohai (渤海) (Korean: Balhae) was also established, not connected with the later Bohai kingdom. These commanderies held military control over much of Manchuria and part of northern Korea. The Mahan and Jinhan confederations reconquered three of the commanderies shortly after they were established. They took the Zhenfan commandery and the Lintun commandery in 82 BC. The Xuantu commandery fell in 75 BC (Yang, 1999, p. 41). However, the Lelang commandery survived. After the Han dynasty perished, the Gongsun clan still ruled some of the commandery area and parts of Southern Manchuria, yet soon their territories were conquered by the kingdom of Wei. Under the Jin Dynasty, the Chinese rule still was present, but since it was a weak dynasty, the Xianbei, Tungus or proto-Mongol nomads took advantage of the situation, creating their own Yan kingdom (not the Yan of the Warring States era). Goguryeo's conquest of the Lelang commandery in 313 AD marked the end of direct Chinese rule on the Korean peninsula, and the beginning of Goguryeo's rise as a major regional power. The commanderies were known for their strong cultural influence on Korea. The Chinese occupation of Northern Korea influenced the Southern "Han" tribes and even the Three Kingdoms era. In particular, the Chinese presence is often credited with bringing Confucian scholarship and Chinese script to Korea. Goguryeo set up the first Korean school of Confucian learning in the 4th century AD. Silla (or Shilla), Goguryeo, and Baekje are called the Three Kingdoms. The confederacy of chiefdoms called Gaya occupied much of the Nakdong River valley until conquered by Silla in 562. Goguryeo first founded a kingdom in Southern Manchuria in 37 BC, and expanded into North Korea by occupying the Chinese commandery at Pyongyang in the fourth century. The kingdom was at its zenith in the fifth century when occupying the Liaodong Plains in Manchuria and today's Seoul area. The Goguryeo kings controlled not only Koreans but also Chinese and other Tsungusic tribes in Manchuria and North Korea. Since the establishment of the Sui Dynasty in China, the kingdom continued to suffer from Chinese invasion until conquered by the allied Silla-Tang forces in 668. The origin of Baekje is still controversial, but the kingdoms of Goguryeo and Baekje had similar ethnic and linguistic backgrounds and the kingdom was firmly established in the southwest of the Korean Peninsula with its capital at Seoul by the fourth century. Driven by Goguryeo, the kingdom moved its capital southwards to Gongju, and then to Buyeo. 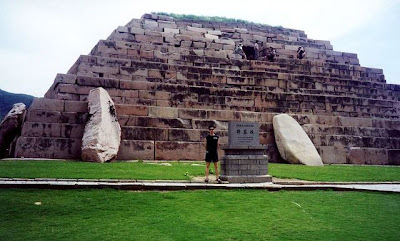 Culturally Baekje introduced Chinese civilization through its relationship with the Southern Dynasties in China. Baekje was fundamental in implanting high civilization, including Chinese characters and Buddhism, into ancient Japan with which the kingdom sustained friendly relations all the time. The kingdom of Baekje was conquered by the Silla-Tang forces in 660. The remaining material culture from the kingdom of Silla including unique gold metalwork shows influence from the northern nomadic steppes, differentiating it from the culture of Goguryeo and Baekje where Chinese influence was more pronounced. Silla expanded rapidly by occupying Seoul and annexing Gaya in the sixth century. Goguryeo and Baekje responded by forming an alliance. To cope with invasions from Goguryeo and Baekje, Silla deepened its tributary relations with the Tang Dynasty, with her newly-gained access to the Yellow Sea making direct contact with the Tang possible. After the conquering of Goguryeo and Baekje with her Tang allies, the Silla kingdom drove the Tang forces out of the peninsula and occupied the lands south of Pyongyang. The state of Balhae (also written Bohai or Pohai in Roman text) was founded in the former lands of Goguryeo by Dae Joyeong. Balhae controlled the northernmost areas of the Korean Peninsula, parts of Manchuria (but not the Liaodong Peninsula), and expanded into the region which is today's Russian Maritime Province. Balhae styled itself as Goguryeo's successor state. It also modelled itself on the Tang Empire, for example in the layout of its capitals. In a time of relative peace and stability in the region, Balhae culture flourished, especially during the long reign of the third king, Mun Wang (r. 737-793). Like Silla culture, the culture of Balhae was strongly influenced by Buddhism. However, Balhae was severely weakened (many presume in-fighting) by the tenth century, and the Khitan Liao Dynasty conquered Balhae in 926. No historical records from Balhae have survived, and the Liao left no histories of Balhae. Goryeo (see below) absorbed some Balhae territory and received Balhae refugees, including the royal family, but compiled no known histories of Balhae either. 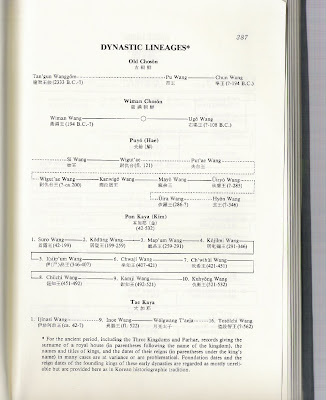 The Samguk Sagi, for instance, includes passages on Balhae, but does not include a dynastic history of Balhae (as it does of the Three Kingdoms). The eighteenth century Joseon historian Yu Deukgong was probably the first to advocate the proper study of Balhae as part of Korean history, and it was he who coined the term "North-South Period" to refer to the era when Silla and Balhae existed side by side. The kingdom of Goryeo was founded in 918 and replaced Silla as the dominant power in Korea in the years 935-936. ("Goryeo" is a short form of "Goguryeo" and the source of the English name "Korea.") The kingdom lasted until 1392. During this period laws were codified, and a civil service system was introduced. Buddhism flourished, and spread throughout the peninsula. In 1231 the Mongols invaded Korea and after 25 years of struggle the royal family surrendered by signing a treaty with the Mongols. For the following 100 years the Goryeo ruled, but under the control of the Mongols. In 1392 a Korean general, Yi Seonggye, was sent to China to campaign against the Ming Dynasty, but instead he allied himself with the Chinese, and returned to overthrow the Goryeo king and establish a new dynasty. The Joseon Dynasty moved the capital to Hanseong (formerly Hanyang; modern-day Seoul) in 1394 and adopted Confucianism as the country's official religion, resulting in much loss of power and wealth by the Buddhists. During this period, the Hangul alphabet was introduced by King Sejong in 1443. Joseon (as Korea was called during the Joseon Dynasty) dealt with invasions by Japan from 1592 to 1598 (see Seven-Year War). Korea's most famous military figure, Admiral Yi Sun-sin was instrumental in defeating the Japanese. After the invasions from Manchuria in 1627 and 1636, the dynasty submitted herself to the Qing Empire. On the other hands, Korea permitted the Japanese to trade at Pusan and sent missions to the capital of Edo in Japan from time to time. Europeans were never permitted to trade at Korean ports until the 1880s. Domestic politics was plauged by internal power struggles among Confucian bureaucrats. In spite of some efforts to introduce Western technology through the Jesuit missions at Beijing, the Korean economy remained backward due to weak currency circulation. Peasants, suffering from famine and exploitation, often fled the country into Manchuria.